The Routing and Remote Access service (RRAS) is a multi-protocol software router integrated in Windows 2000 and Windows Server 2003 that provides connectivity for remote users and remote offices to the corporate network. RRAS make it possible for remote users to perform their tasks as though they are actually physically connected to the corporate network. A remote access connection enables services such as file and print sharing to be available to remote users. 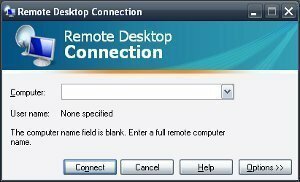 To access network resources, remote access clients can use standard Windows tools. A computer running Windows 2000 Server or Windows Server 2003 with Routing and Remote Access service enabled and configured is called a remote access server. Use alternate or backup routers when necessary, for instance when a network failure occurs. Multicast routing through a multicast proxyprovides multicast for remote access users, thereby extending multicast support further than the true multicast router. Network Address Translation (NAT), defined in RFC 1631 translates private addresses to Internet IP addresses that can be routed on the Internet. Layer Two Tunneling Protocol (L2TP) combines Layer 2 Forwarding (L2F) of Cisco with Point-to-Point Tunneling Protocol (PPTP) of Microsoft. L2TP is a Data-link protocol that can be used to establis Virtual Private Networks (VPNs). 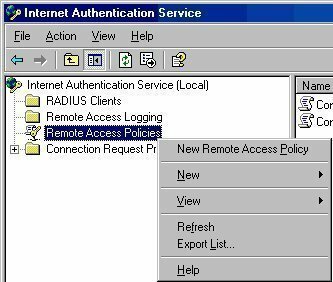 Internet Authentication Service (IAS), a Remote Authentication Dial-In User Service (RADIUS) server, provides remote authentication, authorization and accounting for users that are connecting to the network through a network access server (NAS) such as Windows Routing and Remote Access. Dial-up networking (DUN) allows a remote access client to establish a dial-up connection to a port on a remote access server. The configuration of the DUN server determines what resources the remote user can access. Users that connect through a DUN server, connect to the network much like a standard LAN user accessing resources. Plain old telephone service (POTS): In the initial days of dial-up networking, phone lines were used to establish the dial-up connection. With POTS, the amount of data that was passed was initially limited because analog components caused signal loss. This has since improved with the connections between phone offices becoming all digital connections paths. Link Control Protocol (LCP); LCP deals with the establishment of the lower PPP connection. LCP is used for two devices to initially come to agreement on establishing a PPP link. Challenge Handshake Authentication Protocol (CHAP); used to enable the client to authenticate the server. Callback Control Protocol (CBCP); used to negotiate callback specific operations, such as whether callback is permitted, and if and when it should occur. Compression Control Protocol (CCP); used to negotiate and determine whether compression is required, and the type of compression that should be used. IP Control Protocol (IPCP); used to negotiate the IP parameters that should be used for the PPP connection. Internet Protocol (IP); IP makes it possible for IP datagrams to be exchanged over the connection. Virtual Private Networks (VPN&apos;s) provide secure and advanced connections through a non-secure network by providing data privacy. Private data is secure in a public environment. Remote access VPNs provides a common environment where many different sources such as intermediaries, cients and off-site employees can access information via web browsers or email. Many companies supply their own VPN connections via the Internet. Through their ISPs, remote users running VPN client software are assured private access in a publicly shared environment. By using analog, ISDN, DSL, cable technology, dial and mobile IP; VPN&apos;s are implemented over extensive shared infrastructures. Email, database and office applications use these secure remote VPN connections. Third parties oversee the dial up to the network. New users can be added with hardly any costs and with no extra expense to the infrastructure. Wan circuit and modem costs are eliminated. Remote access VPN&apos;s call to local ISP numbers. VPN&apos;s can be established from anywhere via the Internet. Cable modems enable fast connectivity and are relatively cost efficient. Information is easily and speedily accessible to off-site users in public places via Internet availability and connectivity. Tunneling is the concept used to describe a method of using an internetwork infrastructure to transfer a payload. IPSec tunnel mode enables IP payloads to be encrypted and encapsulated in an IP header so that it can be sent over the corporate IP internetwork or Internet. IPSec protects, secures and authenticates data between IPSec peer devices by providing per packet data authentication. IPSec peers can be teams of hosts, or teams of security gateways. Data flows between IPSec peers are confidential and protected. Tunnel mode is used when a host wants to connect or gain access to a network controlled by a gateway. The source and destination addresses are encrypted. The original IP datagram is left in tact. The original IP header is copied and moved to the left and becomes a new IP header. The IPSec header is inserted between these two headers. The original IP datagram can be authenticated and encrypted. Encapsulation Layer 3 tunneling protocols. The VPN client accesses the Internet, and then sends a VPN connection request to the VPN server to establish a secure connection. Based on the VPN protocol used, the client authenticates itself to the VPN server. If authentication fails, the connection is terminated. If the client is authenticated, the client and server start a negotiation process. During negotiation, the client and server agree on the encryption algorithm, and parameters that should be used for the VPN connection. The VPN session or connection is established. Data is created by an application for a specific remote host. At the client end, the data then becomes an IP datagram. This is done by adding a TCP header and IP header to the data. At this point the packet contains all the information needed to be transmitted by IP. The client then establishes a connection through PPP to add the PPP header to the IP datagram. At this stage the packet becomes a PPP frame. The following step in the process is for the VPN to encrypt the PPP frame. This ensures that the data is sent over the Internet in an undecipherable format. A Generic Routing Encapsulation (GRE) header is added to the encrypted payload, to indicate that the packet is an encapsulated PPTP packet. The PPTP stack adds an IP header to indicate the destination address of the VPN server. The packet is then routed to the VPN server. A secure encrypted session is established between the client and server. At this stage the client establishes a L2TP tunnel to the server. The server then sends the client an authentication challenge. The client responds to the server&apos;s challenge, and uses encryption when it sends its challenge response. The server then verifies that the challenge response received by the client is valid. If the response is valid, the connection is accepted. Click Start, and then click Manage Your Server. Select the Add or remove a role option. The Configure Your Server Wizard starts. On the Preliminary Steps page, click Next. A message appears, informing you that the Configure Your Server Wizard is detecting network settings and server information. When the Server Role page appears, select the Remote Access/VPN Server option and then click Next. On the Summary of Selections page, click Next. The Welcome to the Routing and Remote Access Server Setup Wizard page is displayed. Click Start, Administrative Tools, and then select Routing And Remote Access to open the Routing And Remote Access management console. In the console tree, select the remote access server that you want to configure. 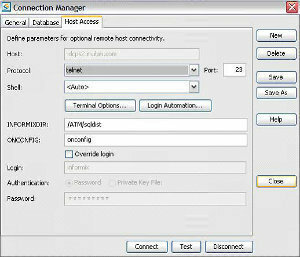 Select the Action menu, and then select the Configure and Enable Routing and Remote Access. Alternatively, you can right-click the server that you want to configure, and then select Configure and Enable Routing and Remote Access from the shortcut menu. On the initial page of the Routing and Remote Access Server Setup Wizard, click Next. On the Configuration page, select the Remote Access (Dial-Up Or VPN) option and then click Next. On the Remote Access page, select either the VPN server checkbox, or the dial-up server checkbox, or both of these checkboxes. Click Next. When the Macintosh Guest Authentication page is displayed, click the Allow Unauthenticated Access For All Remote Clients option if you want the RRAS server to accept anonymous remote access. Click Next. On the IP Address Assignment page, accept the default setting of Automatically, or select the From A Specified Range Of Addresses button. Click Next. On the Managing Multiple Remote Access Servers page, select the No, Use Routing And Remote Access To Authenticate Connection Requests option, and then click Next. The Routing And Remote Access console is the graphical user interface used to manage and configure routing properties. Click Start, Administrative Tools, and then click Routing And Remote Access. If you want to add a dial-up connection, VPN connection or PPPoE connection to the Routing And Remote Access console, you have to manually add it to the Network Interfaces node. If you have already enabled the Routing And Remote Access Service, and you add a new network adapter, then you have to manually add the new network adapter to the IP Routing node. Click Start, Administrative Tools, and then select Routing And Remote Access to open the Routing And Remote Access console. In the console tree, select the Network Interfaces node. Right-click the Network Interfaces node and then select New Demand-Dial Interface from the shortcut menu. The Demand Dial Interface Wizard starts. Follow the prompts of the Demand Dial Interface Wizard to manually add the dial-up connection, VPN connection or PPPoE connection. In the console tree, select General, right-click General, and then select New Interface from the shortcut menu. Select the Interface that you want to add. Click OK. Routing And Remote Access Service properties are configured in the Routing And Remote Access console, using the RRAS server&apos;s Properties dialog box. In the console tree, select the remote access server that you want to configure, and then select Properties from the Action menu; OR right-click the server in the console tree and then select Properties from the shortcut menu. The remote access server&apos;s Properties dialog box contains the tabs listed below. The configuration settings that you can configure on each of these tabs for the remote access server are explained as well. IP tab: The IP tab is used to configure routing properties to route IP packets over LAN connections, remote access connections, or demand-dial connections. The options available are the Enable IP Routing checkbox, and the Allow IP-Based Remote Access And Demand Dial Connections checkbox. The IP Address Assignment section of the IP tab is used to configure the manner in which the IP addresses are assigned to remote access clients. The available options are the Dynamic Host Configuration Protocol (DHCP) option and the Static Address Pool option. 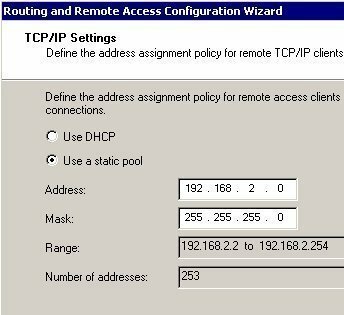 If you select the Static Address Pool option, you have to specify the address range that the Routing And Remote Access service will use to assign addresses to remote access clients. The last setting on the IP tab is the Enable Broadcast Name Resolution checkbox, which is enabled by default. Multilink Connections; when enabled multilink connections are allowed from remote access clients. Dynamic Bandwidth Control Using BAP Or BACP; when enabled multilink connections either add or drop PPP connections based on the available bandwidth. Link Control Protocol (LCP) Extensions; when enabled advanced PPP features are supported. Software Compression; when enabled the RRAS can perform compression of the PPP data. You can also enable the option to log additional information for debugging purposes. There are a few Routing And Remote Access service features that apply to IP routing on the whole. These IP routing features are configured using the Properties dialog box of the General sub in the Routing And Remote Access console. The General node can be found within the IP Routing node in the console tree. In the console tree, expand the IP Routing node. Right-click the General node, and then select Properties from the shortcut menu. The General Properties dialog box contains three tabs: Logging tab, Preference Levels tab, and Multicast Scopes tab. Preference Levels tab: The options available on the Preference Levels tab are used to position the priority of routes which were obtained from a number of sources. Multicast Scopes tab: The tab is used to configure multicasting. In the console tree, right-click the server that you want to work with, and then click Properties from the shortcut menu. The server Properties dialog box opens. Switch to the PPP tab. Select the Multilink Connections checkbox to allow multilink connections from remote access clients. If you do not want to allow multilink connections, simply disable the Multilink Connections checkbox. If you select the Multilink Connections checkbox, it is recommended that you enable the Dynamic Bandwidth Control Using BAP Or BACP checkbox. This allows the server to add or drop PPP connections based on the rise and fall in available bandwidth. Verify that the Enable IP Routing checkbox is selected or enabled. Next, verify that the Allow IP-Based Remote Access And Demand Dial Connections checkbox is selected. If the server Properties dialog box has an IPX tab, click the IPX tab. Clear the Allow IPX-Based Remote Access And Demand-Dial Connections checkbox. If the server Properties dialog box has an AppleTalk tab, click the AppleTalk tab. Clear the Enable AppleTalk Remote Access checkbox. If the server Properties dialog box has a NetBEUI tab, click the NetBEUI tab. Clear the Allow NetBEUI-Based Remote Access Clients To Access checkbox. Thank you very much for such wonderful information in regards to routing and remote access service. One may even consider deploying on premise remote support appliance such as RHUB appliances in order to remotely access computers from anywhere. This web site not update like as win 2008 server. 133 queries in 0.305 seconds.